Let your photos bring safety to the streets and highways! We invite you to join Michelin's Facebook Photo Contest from March 1 to 6, 2016 by sharing photos of yourself or other motorists and commuters who are Following OR Not Following safety rules on the road. 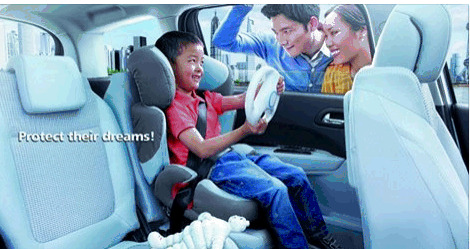 Please do your share to promote road safety and better mobility by posting your pictures at the Michelin Facebook page at https://www.facebook.com/sem16michelin. For details on how to join the Photo Contest, please see the Mechanics below. Michelin is a partner of the Shell Eco-Marathon 2016 for the third straight year. This event about energy-efficiency and better mobility will take place at the Quirino Grandstand, Roxas Boulevard, Manila on March 4 to 6, 2016 from 10 a.m. to 4 p.m. Visit the Michelin Fanzone booth at the Shell Eco-Marathon to know more about road safety and better mobility. Lots of freebies and prizes are in store for Photo Contest participants and Fanzone visitors too! 1. Visit the MICHELIN Facebook page at (www.facebook.com/sem16michelin), and join our photo contest. Post a photo that you took that depicts "safer mobility". The photo should be about good or bad road safety habits that you can observe as people go through their daily drive or commute. (For example, a passenger wearing a seatbelt, a pedestrian crossing in the pedestrian lane (GOOD HABITS); a motorcycle rider without a helmet, commuters hanging on to the back of jeepneys (BAD HABITS),etc. You can use those examples and more in your photo entries. 3. You can submit more than one entry. Post your entry/ies on the MICHELIN Facebook wall and include your Facebook name. 4. Twelve (12) winning photos will be selected by a panel of judges from Michelin based on what they consider to be the best interpretation of the theme “SAFER MOBILITY”. All decisions by the panel will be final. 5. All the Winning Entries will receive a prize from Michelin. The winning entries will be posted in the Michelin Photo Gallery Wall at the SEMA 2016 Fanzone. NOTES: Three (3) daily winners (from March 1-6) will be announced at the Michelin Fanzone booth at the Shell Eco Marathon Asia 2016 Event, Michelin SEMA Event Facebook page, and Michelin’s Philippines Website. Thursday, Saturday & Sunday: 4.30pm - Winner to be present at 4pm. Sunday 5th March: 4.00pm - Winner to be present at 3.30pm. All contest participants who did not win but participated in the Photo Contest will receive a gift from Michelin. All they have to do is show their post/contest entry to Michelin Staff at the Fan Zone booth. 6. This contest is open to all Filipinos, at least 13 years old and above. 7. This contest is valid from March 1 to March 6, 2016 only (up till noon, local time).